I see far too many women struggling to make the kind of money they desire. Worse, those who are doing well (making 6 figures or even more) are paying a HUGE price – sacrificing their health, femininity and connection with their families in the process. I’ve been there, so I understand what it feels like when you can’t see a way out of your current struggle, or constant exhaustion. Which is why I want to share 3 ‘Truth Bombs’ with you today, that will help you rapidly shift to thriving and MAKING BANK in your business – without burning out. If you want to have a truly rich abundant business that nourishes you from the inside out, begin with your mindset. It’s time to turn pro, darling. The pros understand that we may have weaknesses, things we still need to learn, and we may even get consumed by fear or worry at times. But we aren’t going to let that get in the way of our deep underlying belief that we deserve (and will attract) abundance and wealth in every area of our lives. We weren’t born with that belief. We work at it every single day. That’s the true practice of mindset. Let’s say you want to earn $100K this year, and your strategy is to sell a $2,500 program with a small list. Chances are, you’re going to run yourself into the ground (and in the end, you’ll very likely fall short of your goal). This can easily spiral into thinking you’re a failure, or not talented enough to succeed. When the truth is, you’ve simply chosen the wrong strategy & offer for your income goal. Or perhaps you’re already earning $100K, $200K or even 7 figures per year, yet you’re completely exhausted all the time. In this case, there’s a mismatch between your strategy/offers and the lifestyle you truly desire. Life goes by fast. So it’s about time we design businesses that actually work for women’s bodies & femininity. Especially if you have multiple ‘jobs,’ such as: wife, mother, caretaker, business owner, and so on! 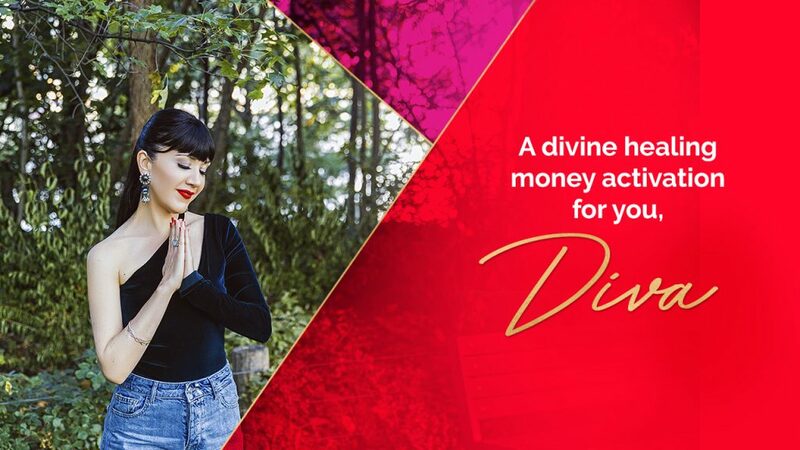 The money you make and the business you build needs to be in service to your physical and spiritual well-being, as well as your bank account. Otherwise, what are you working so hard for? Imagine what it would be like to earn $200K, or even $1M per year with ease and spaciousness. What would that mean for you and your family? How much money do you want to earn in the next year? How many weeks of vacation would you like to take in the next year? How many hours do you want to work in an average week? Now, start structuring your pricing and your strategy around these numbers and desires. Now, don’t tell me you don’t have enough knowledge or credentials to sell high-end! Because I know you’ve gone through A LOT, and learned a lot that can deeply benefit other people’s lives. I’m inviting you to think BIGGER. Make it grand. Put all your best work and your biggest lessons into your programs. Create something that’s absolutely life-changing and dynamic. Then once you’ve got your epic offer, you can put a price tag on that program that will not only change the lives of your clients, but your own life (and your family’s life) too. Sit with the transformation you provide, value yourself and don’t buy into scarcity. If you sublime value, charge accordingly. You’re worth it! You don’t have to do this alone. In fact, you shouldn’t be doing it alone! When you’re so close to everything in your business, you simply can’t see clearly what isn’t working, and what has the potential to take you OUT of the game. I can tell you right now, if you are exhausted… if you keep hitting walls… if you’re not making the money that you really desire, then something is out of alignment. In fact, you are probably unknowingly and unwitting SABOTAGING yourself in some way! No doubt, your inner saboteur is showing up in your bank balance, price points, lackluster offers, your health and poor client attraction. And it will take the right support to help you recognize this, and course-correct quickly. Whether it’s a sisterhood guidance council, spiritual council, or a coach, just get the support you need. Put some money down, and bank on yourself. Solve the problem, get out of your way and welcome more clients and cash!